For the second straight year, the Montreal Canadiens will pick 26th in the first round in Friday’s 2015 NHL Entry Draft. The good news? That means they got pretty far in the playoffs again. The bad news is the players available (barring a trade) will be far removed in terms of potential relative to Connor McDavid and Jack Eichel. Swedish prospect Joel Eriksson Ek was called an “intelligent, scoring center that is productive at both ends of the ice,” by Curtis Joe at Elite Prospects. However, while his name did come up more than most as Montreal’s pick in several mock drafts, Montreal is relatively deep at center, organizationally speaking. Tomas Plekanec may admittedly be on his way out, but the Habs do have David Desharnais (29), Lars Eller (26), and, despite whatever Marc Bergevin said at his post-mortem press conference, Alex Galchenyuk, who’s only 21. Meanwhile, recent draftee Jacob De La Rose is just 20. Sure, head coach Michel Therrien doesn’t exactly trust the latter two at the position full-time, but that’s mostly due to issues with immaturity (on whose part, I’m not exactly sure). An 18-year-old Eriksson Ek likely won’t spark change in that regard. Of note, the term “hard-working” seems to be a term tossed around a lot in regard to Ek. That’s far from a negative, but it also acts as code in regard to a potential lack of first-round talent. Montreal may want to look elsewhere for a future star. Shawinigan Cataractes forward Anthony Beauvillier’s name has actually come up the most in the mock drafts as a potential Habs pick. He does seem to fit the mold, being a native Quebecer (Sorel) and 5’11”, 173 pounds (a frame he admittedly will likely grow into somewhat). Like Eriksson Ek, Beauvillier has great character to the point of having worn the “C” for Team Cherry at the CHL Top Prospects Game (opposite Connor McDavid on Team Orr). However, unlike Eriksson Ek, Beauvillier’s offense is reportedly more refined. 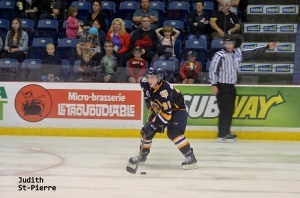 He finished eighth in Quebec Major Junior Hockey League scoring after all. He actually may very well be one of the most talented players left available by the time the Canadiens end up picking. However, again, one has to wonder if he would be the best choice based on the team’s needs. You can definitely argue that the logical thing to do is to pick the best player available, but wouldn’t that be easier said than done if it ends up a goalie? With left-wingers like Charles Hudon, Artturi Lehkonen, Tim Bozon, and Martin Reway in the pipeline (and Max Pacioretty and company on the team already), Beauvillier just might end up getting lost in the shuffle. According to International Scouting Services, the best player available at No. 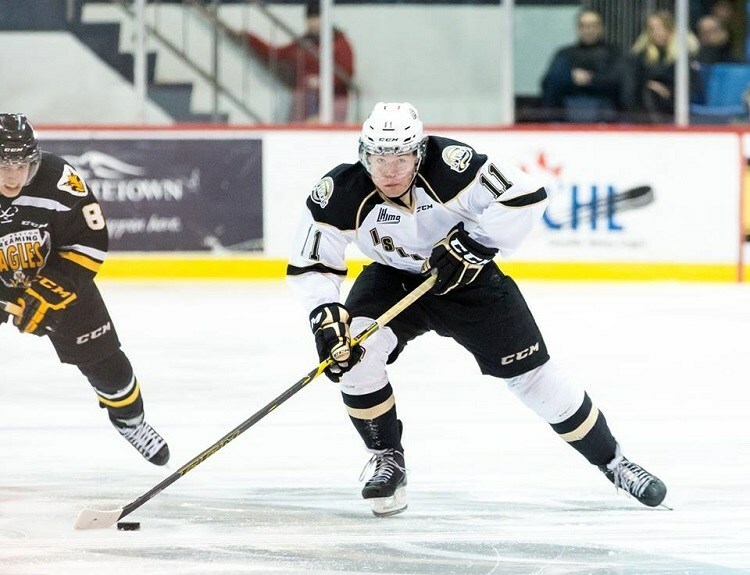 26 should in theory be Charlottetown Islanders forward Daniel Sprong. That’s of course assuming no team picks a goalie up to that point, which is possible as Zachary Fucale demonstrated in 2013 (going 36th overall as the first netminder selected—to Montreal). In any case, Sprong would best fit the Canadiens’ overwhelming need for scoring on the right side, which is arguably the team’s biggest one right now. How soon he would get to contribute at the big-league level is anyone’s guess, especially with a reputation for being a one-dimensional goal scorer without much of a defensive game. As a result, considering Montreal’s style of play currently, he might not be the best fit culturally speaking. While Montreal’s defense is pretty solid right now (P.K. Subban, Jeff Petry, Andrei Markov, Nathan Beaulieu, etc. ), the cupboard is pretty bare, especially on the left side, with just Jarred Tinordi being on the verge of making the leap to the NHL sometime soon (on whichever team). As a result, it might make the most sense to go after one of two available left-shooting Saint John Sea Dogs defensemen. One is 6’1”, 184-pound Czech Jakub Zboril (13 goals, 33 points in 44 games). 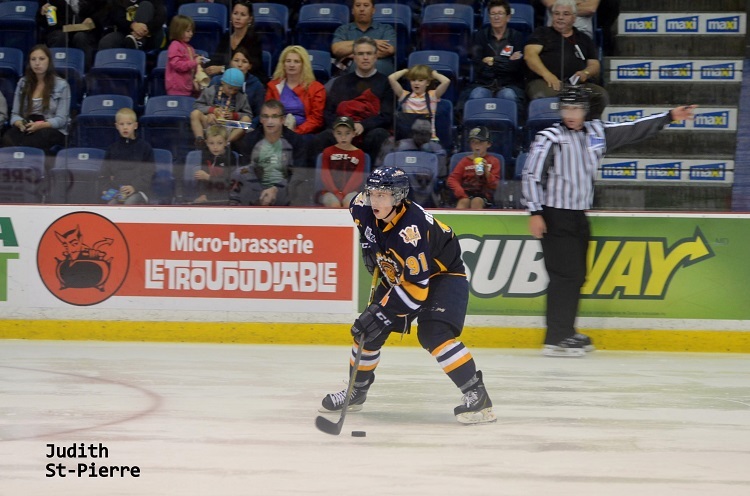 The other is a Quebec native: 6’1”, 180-pound Thomas Chabot (12 goals, 41 points in 66 games). Both are touted as offensively gifted, two-way defensemen. However, few analysts seem to agree which will go first or if either will even be available by pick No. 26. Considering how well each fills Montreal’s most significant organizational need, trying to trade up in order to guarantee the services of one of them might be worth it. Swedish defenseman Gabriel Carlsson fills that need as well, but stands a better chance at being available by the time Montreal gets to the podium in the first round. ISS had him at No. 30 in their final rankings. Central Scouting meanwhile had him as their No.2-ranked international skater. TSN’s Bob McKenzie had him at No. 27. Standing 6’4”, 185 pounds, Carlsson is seen as a stay-at-home defenseman who can make a good first pass, but otherwise doesn’t handle the puck, according to Last Word on Sports’ Ben Kerr. He does have high hockey IQ and smooth skating, so maybe look at him as a more mobile, less big Tinordi. Granted, Tinordi obviously hasn’t worked out yet, but that doesn’t mean he won’t at all. If not, maybe Carlsson represents the necessary tweak that lands Montreal a bona-fide top-four defenseman for the future. There are worse ways to spend that late first-round pick.